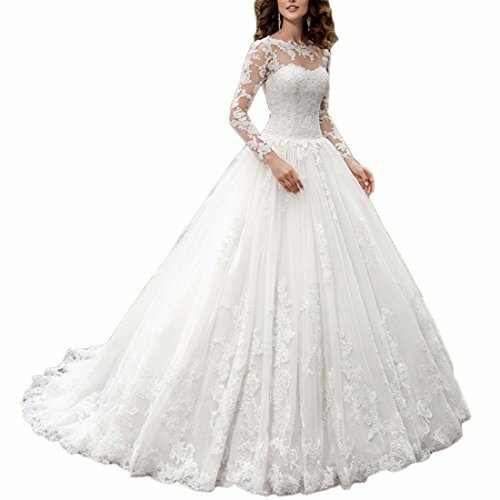 Welcome to Fair Lady Wedding Dress, hope you can have a perfect shopping experience. If you need more dresses, just visit our store directly. All of our dresses are handmade by experienced tailors. Our dress is above 98% similar with photo. If you receive a defective dress or wrong size (wrong color,wrong dress),please contact us within 3 days after you receive the dress. Any other questions, please feel free contact us through email, we are always at your service. For customize dress, please send us your measurements as below: 1.Full Bust _____ inch or ___ cm 2.Waist _____ inch or ___ cm 3.Hips _____ inch or ___ cm 4.Shoulder to Shoulder ____ inch or ___ cm 5.Hollow to floor(Shoulder to Feet without in shoes) ___ inch or ___ cm 6.Height: _____inch or ___ cm 7.The height of your high heel shoes: _____inch or ___ cm 8.Phone Number______ 9.The date you need the dress_____ We cannot accept your return request under the conditions as below: (1) Exceed 7 days after you received the product. (2)The product is Dirty, Damaged, Broken, Worn or Washed. (3)Personal reasons such as wrong measurement provided, wrong size or wrong color selected including your own custom made. If you have any other questions, please contact us directly, we are always at service. Scoop neck , Long Sleeves , Corset back , Built in bra; Please note the order is only fulfilled by "Whatswedding", if your order is shipped by other sellers, it is fakes, you can report to Amazon. It's better to wear one petticoat under the dress. When you order the dress, please check the size chart carefully and measure yourself, if you are not standard size, please contact us, we will custom free for you. If you need other colors, just contact us, we'd like to do for you.